£100.00 Deposit . Balance and Bond paid 6 weeks before holiday dates. 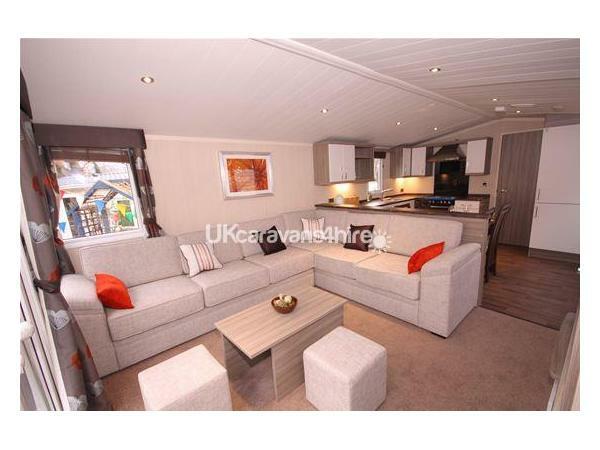 The caravan is a luxury SWIFT MOSELLE "Prestige with Decking 3 bedroom" holiday home It has all the features of a Prestige plus Platinum features. There is a pull out double bed in the lounge so it will sleep up to eight people. The doors open out at the front onto the decking. There is a flat-screen 43 inch TV and an additional flat-screen TV with DVD in the main bedroom, gas central heating in all rooms, double glazing throughout, electric fire in the Lounge, Family bathroom, en suite bathroom in main bedroom, free gas, electricity and private car space. The kitchen is fully equipped with a microwave, oven and grill, full size fridge/ freezer, toaster, kettle, iron. Also Patio furniture for that sunny weather! Additional chairs under Single beds. 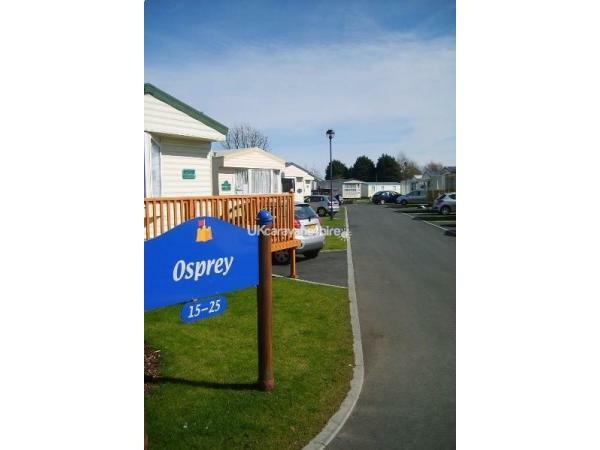 Our caravan is located at Kiln Park, Tenby, South Wales on OSPREY 17, which has recently been landscaped. 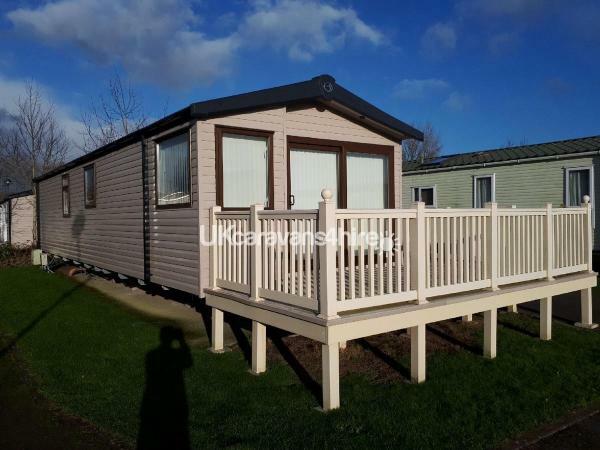 The caravan site is within the Pembrokeshire National park on the edge of a big golden sandy beach - Tenby South. 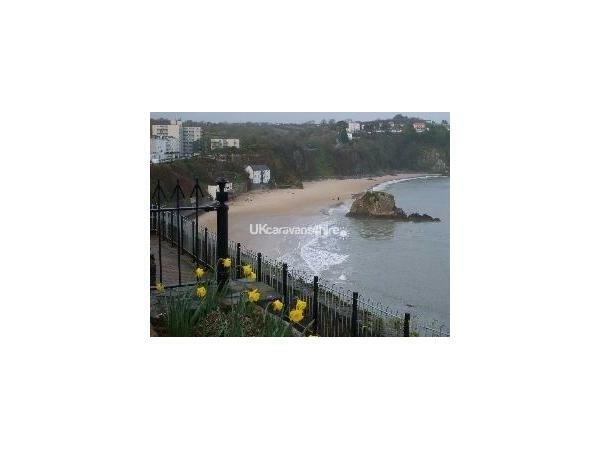 Tenby itself is only 10 minutes walk or 5 minute drive with its unique shops, bars, restaurants, night clubs and beaches. 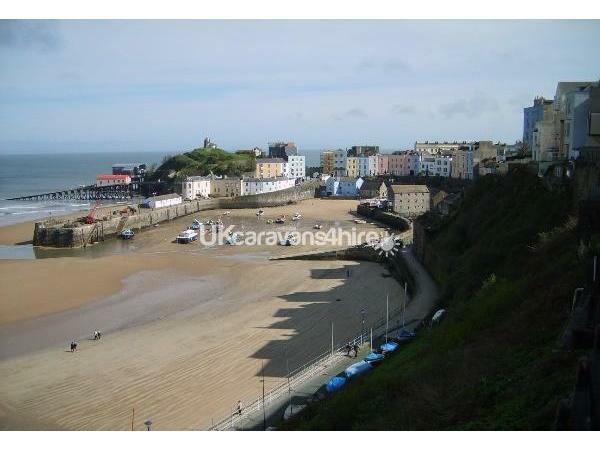 A picturesque fishing harbour with boat trips to Caldey Island. There is also a regular Taxi service (which will pick you up on site). Asda and Tesco do Online shopping delivery to the caravan. Kiln Park has a lot to offer with the on-site complex including 2 swimming pools, restaurants, bars and Showrooms with all day entertainment for adults and children. There is also a supermarket, tennis courts, children's play areas with FunWorks including Rory and Gang. Kiln Park is suitable for families of all ages.